Even during the early beginnings of horror films, comedic incarnations soon emerged. Abbott and Costello Meet Frankenstein (1948) is often cited as the first successful combination of the two genres. As horror goes through its natural ebb and flow, the spoofs and satires typically follow at the tail end of each cycle. Student Bodies was one of the first parodies of the slasher films born out of post-Halloween craze. The film was released in 1981 and was shot in and around Houston, Texas. You can also read about these locations in my article for Horror's Hallowed Grounds in HorrorHound magazine. The house featured in the opening scene (and supposedly taking place on Jamie Lee Curtis’ birthday no less) is located at 1918 Canterbury Street in Houston. The funeral scene was shot at the Washington Cemetery, located at 2911 Washington Avenue. The big parade was shot in downtown Houston near the corner of Bell and Fannin Streets. 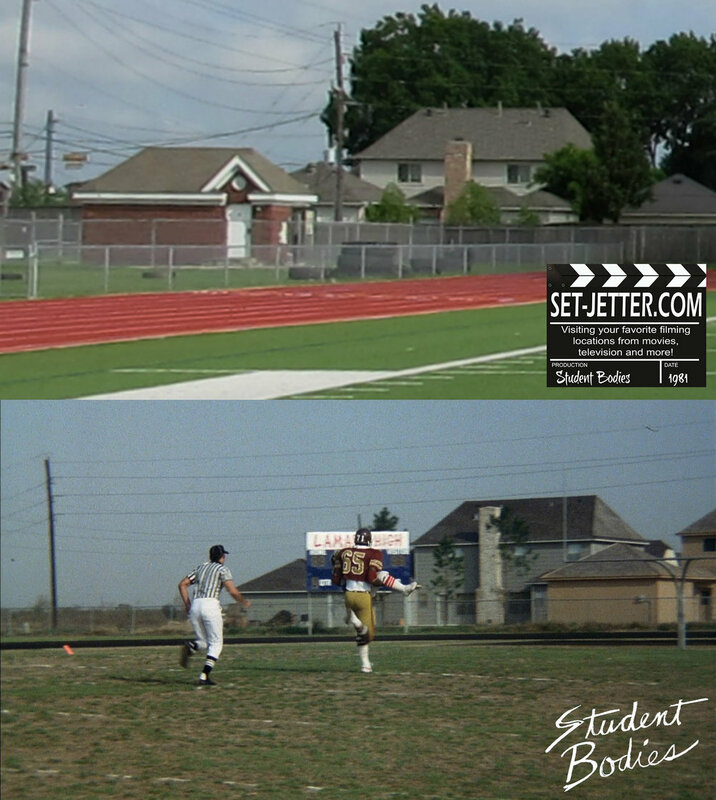 The football game was shot 30 miles west of Houston at James E. Taylor High School in Katy, Texas. 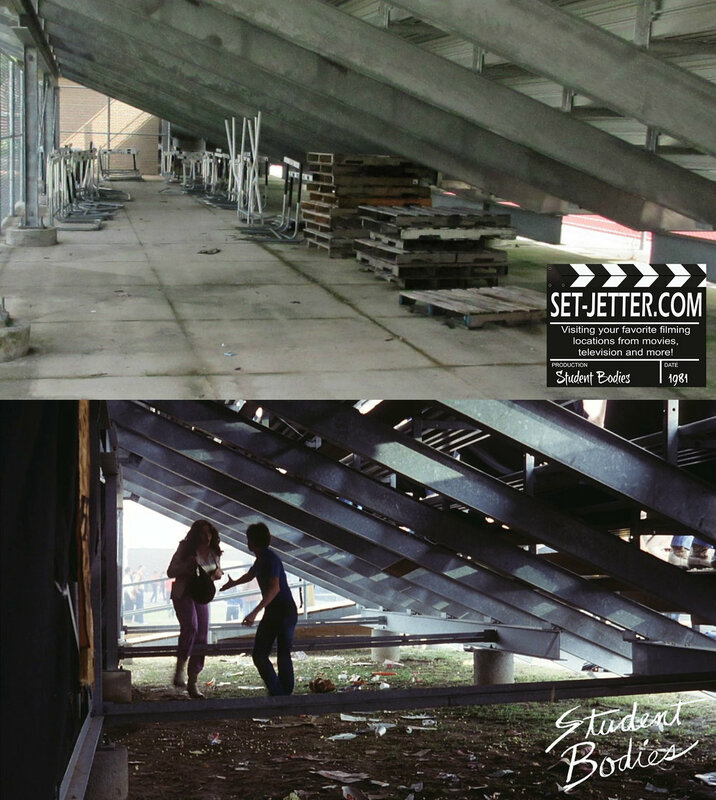 The bleachers are in the same place but have been replaced since filming. 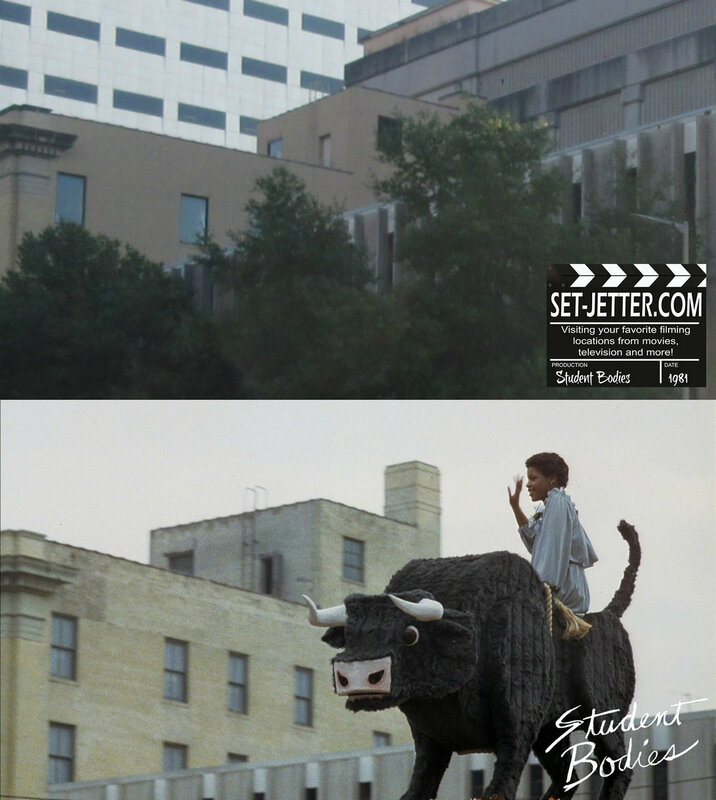 Most of the school scenes were shot at Hannah Hall at Texas Southern University, located at 3100 Cleburne Street in Houston. I wasn’t able to get on campus during any of my visits to the area.